I don't think we will ever, as a country, really like any elected President ever again. There's too much information out there now. The media covers every word they've ever said, and it's impossible for them to not have said hundreds of stupid things over the course of their life. And it all it takes is one for the populace to shun them. 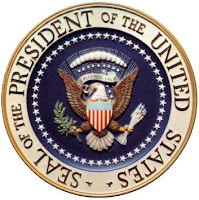 So, because of this, I will use this forum to occasionally remind us why all of our former Presidents sucked. It's not that we're entering a new age of folly. It's that we're finally able to witness the depravity of all men from up close.